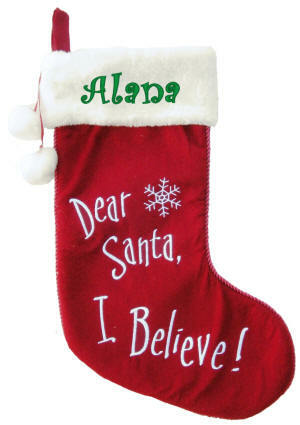 The body of this adorable Christmas stocking is embroidered with the saying Dear Santa, I Believe! Two faux fur snowballs hang from the Christmas stocking cuff on a red ribbon. A wonderful quality deep red felt Christmas stocking with a white faux fur fold down cuff. The front of the Christmas stocking is fabric lined. The edge of the stocking is finished with red braiding. Stocking is 20 in. 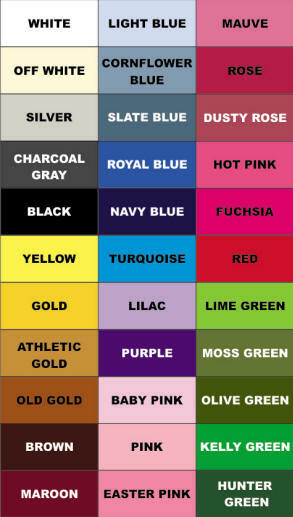 long; cuff is 8� in. wide. This decorative Christmas stocking is not a toy or intended for use by a child under 14.